What’s next? 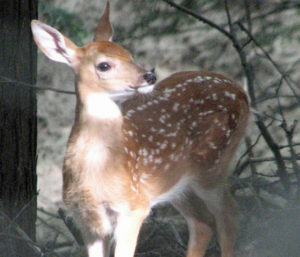 Are the “hunters” going to sit in their living rooms and use loaded drones to follow the hounds and shoot the deer, or whatever innocent animal they want to kill? RANDAL MASSARO APRIL 26,WED, 2017 9AM AT THE AIRTEL PLAZA HOTEL. 8News has learned that the hospital has been conducting controversial medical experiments and testing on dogs. Induced heart attacks, botched surgeries, and dog deaths are just some of the notes from animal incident reports at McGuire. 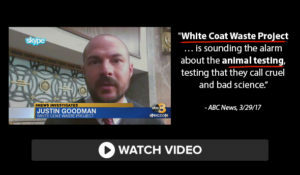 White Coat Waste Project, an animal rights group, is sounding the alarm about the animal testing, testing that they call cruel and bad science. Justin Goodman, Vice President of advocacy and public policy for White Coat Waste Project, said the dogs were healthy before the experiments and testing. “They force heart attacks on them, force them to run on treadmills until they collapse,” Goodman said. According to a November 2016 report, there were botched surgeries, like when doctors mistakenly sliced into a dog’s lung, killing the dog. “Some of the experiments have involved sloppy, incompetent surgeries that have killed dogs,” Goodman said. In a statement, the VA tells 8News the research conducted on dogs is to help veterans suffering from lung infections,diabetes and PTSD. The VA said the “programs comply with the USDA Animal Welfare Act,” and that every program is approved and monitored by a local animal care committee. Providing the best care and services to the nation’s Veterans is paramount to the Department of Veterans Affairs (VA). VA’s research and innovations have resulted in products that are both life-changing and lifesaving. From the implantable cardiac pacemaker to the nicotine patch to electronic health records, the innovations that happen as a result of VA research have far-reaching and lasting impact that doesn’t just touch the lives of Veterans who serve our nation, but all Americans. VA animal research is strictly controlled and monitored with accountability mechanisms in place that comply with the same regulations and standards that university programs, state, private, military or civilian organizations employ. As part of that commitment, VA takes seriously any reports of not adhering to standards and will immediately review and correct processes if and when those issues arise. Still, the animal rights group has fired off a letter to the VA’s inspector general calling for an investigation and it recently got the attention of some members of Congress. In addition, 13 bipartisan members of Congress, including Virginia Congressman Don Beyer have signed a letter urging the government accountability office to conduct an audit of experiments on animals at the VA and other Federal labs. 8News has confirmed that the Government Accountability Office has accepted that request and will begin an audit in a few weeks. Currently, there are no Federal databases to search these tests. White Coat Waste Projects said these tests are essentially being conducted in secret. The group is working with Congress members on legislation called the FACT Act, in an effort bring some transparency to taxpayer funded animal testing. 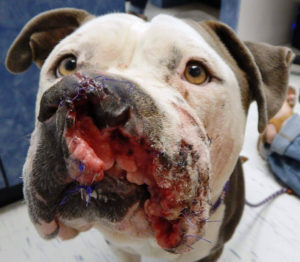 This is the Face of Animal Cruelty – Here’s What You Can Do About It. UPDATE 4-11-17: Rescuers have just dropped Champ to have his first of many reconstructive surgeries to begin the repair of his mouth and nose after they were blown off from having a firecracker put in his mouth! Today is primarily his jaw repair. 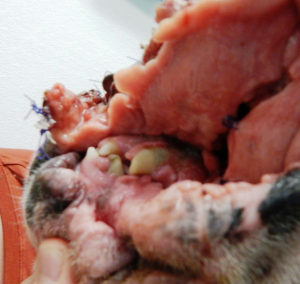 The temporary stitches the vet put in over the weekend to help close all of the open trauma, were not able to hold for more than a day because of the amount of dead tissue surrounding his jaw. Now we are asking for your help. We have created this special page to help raise funds needed to save Champ and support Dallas Dog RRR. With every tee, hoodie, bracelet, or dog accessory purchased, you can help save this victim of abuse! Get your Champ product today and give this baby the second chance at life he deserves. I have taken this horrific example of animal cruelty from the site Hendrick & Company – www.Hendrickboards.com. David Hendricks has become the guardian angel for abused animals. Please visit site. If you don’t feel so much anger that you want to throw something and break it into a million pieces, or put your fist through the screen or weep with a sadness that reaches so far into your heart & soul that it physically hurts you, then there is no reason to read further. If you feel those aforementioned emotions, then let’s make this the case the one that changes the laws that allow theses bastards to get away with it. Let’s come up with a plan. Let me know what you think we should do. Stay tuned for more. In the meantime, read this sweet being’s story, a story that we will make sure it will only end when we have put in motion the laws that will put these bastards away forever. This poor baby was found with half of his face ripped off. The emergency vet said this damage was done from the inside out. 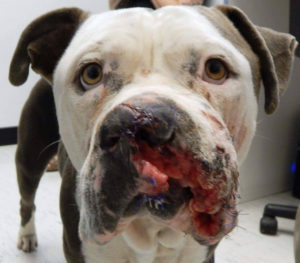 Likely his abuser put a firecracker in his mouth and let it explode. Please get a Champ shirt, hoodie or tote here to donate to his Emergency medical care! We are horrified at what has happened to him. Champ was found wandering in a rural area severely injured late yesterday. Rescuers were in complete shock. Half of Champs face is nearly ripped off. His left nostril is missing and his jaw is shredded. His teeth look like they have been ground down or blasted out. He is emaciated with his ribs protruding. We cannot bear to think what he has lived through. How much pain, suffering and neglect did he have to endure before he was found. We don’t even want to think about it. All we can do now is focus on putting this innocent victim back together again. That is our promise to you Champ. Champ has been rushed to Dallas Dog RRR’s vet partner where is receiving the critical medical care that he needs. Champ will require multiple major reconstructive surgery to survive this ordeal. The doctors were in shock to see his condition. Everyone is very upset about what poor Champ has endured but they are confident they can save his life, with your help! He does not have anyone else. We are all he has right now. 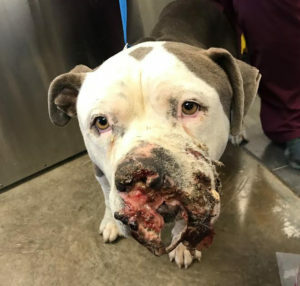 Author Justamis2015Posted on April 10, 2017 April 11, 2017 Categories Animals in the NewsLeave a comment on This is the Face of Animal Cruelty – Here’s What You Can Do About It.